Horror fans love monsters. That’s what got many of us into the genre as children. We love to see creatures that don’t exist, that we can imagine existing in our world. Monsters we could imagine ourselves actually taking on, which is why The Monster Squad is the perfect film for young fans. From the actual creature design to the very idea of some archetypal beast, big or small, that is beyond the natural world. Kids love to imagine what might be out there. Each monster they encounter or create carries with it some spark of imagined realness, for however long it can last. Sadly, though, the monster movie is something we don’t see much of, anymore. It used to be a cornerstone of the genre. Hell, there was a time when it was the genre. Back in the beginning, the Universal Monsters were the big money makers, they were what really popularized the horror film in the US and proved that the genre could be a major moneymaker for the studios. Dracula, Frankenstein, the Wolf Man, the Mummy, all of these guys captured the imaginations of audiences and launched long-lasting franchises. All of them were hits. Like the franchises of today, they were pounded into the ground by over-saturation, endless sequels and mostly needless crossovers. Although Frankenstein vs. The Wolf Man and Abbott & Costello Meet Frankenstein were standouts. The 40s had worn out the classic creatures, but it was OK. Their heyday was right around the corner. More often than not, monsters have always had their roots in science fiction. This dates all the way back to Frankenstein. Also, because of the supernatural nature of its villain, people tend to forget what a sci-fi novel Dracula is. That movie is obsessed with modern technology, using several things that were either new or only theorized about at the time to try and combat the vampire. But in the 1950s, nearly all horror was science fiction. After Hiroshima and Nagasaki, after the bomb had not only been created but actually used, science was what terrified the world. Even the country that had dropped the bombs in the first place. We were so afraid of what we could do to each other, of how far science had come that it could create this kind of devastation, that supernatural archetypes like vampires and werewolves no longer felt like any kind of considerable threat. This was the atomic age of horror and it was the golden age of the monster movie. On the big budget and no budget levels, everyone was making their own creature feature. It’s no surprise that the film that best encapsulates these fears would go on to be known as one of the biggest—in many ways—monster flicks of all time. That was Gojira, introducing audiences to the beast we’ve come to know as Godzilla. It was recut for America and released as Godzilla: King of the Monsters. As campy as that franchise is, people tend to forget how powerful that first movie was. It’s about a man made destructive force wiping out Japan. It’s told, essentially, through newsreel footage. Many of the shots look almost identical to shots of Hiroshima after the bomb was dropped. Horror always reflects the cultural fears of the time. 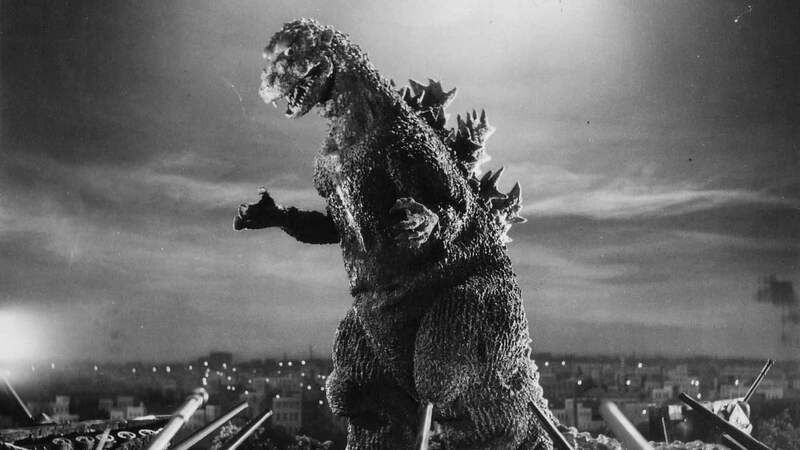 As such, Gojira might be the defining horror of the atomic age. It’s no wonder, of course, that the children who fell in love with the monsters of the 1950s would go on to create the classic monsters of the 1980s. John Carpenter, John Landis, Joe Dante, George Romero, all of these guys were influenced by the ‘50s creature features. 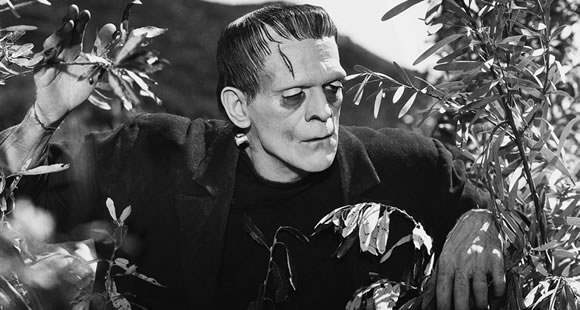 They revived monster movies into a second golden age that most of us as fans still cherish to this day. All of them were somewhat defined as filmmakers by their influences. These masters of modern horror wore their ‘50s influences on their sleeves, creating new monsters for a new generation that would go on to be known as some of the best of all time. Howard Hawkes’s The Thing From Another World gave way to John Carpenter’s The Thing. Instead of The Wolf Man, we had John Landis and Joe Dante giving us An American Werewolf in London and The Howling. And we even had new icons. Taking the reigns from the classic monsters, Dracula, Frankenstein, Wolf Man, Mummy and the Creature from the Black Lagoon, we now had Michael Myers, Jason Voorhees, Freddy Krueger, Leatherface, Pinhead and Chucky. Like the ‘50s, the monster films of the 1980s were produced on big budgets and small budgets, alike. There were major studio remakes like The Thing, The Fly and The Blob, but then we also had the rise of the video market and more and more creature features being made for smaller and smaller budgets. This allowed us the best of both worlds, from the major studio thrills of Aliens to the low budget camp of Rawhead Rex. 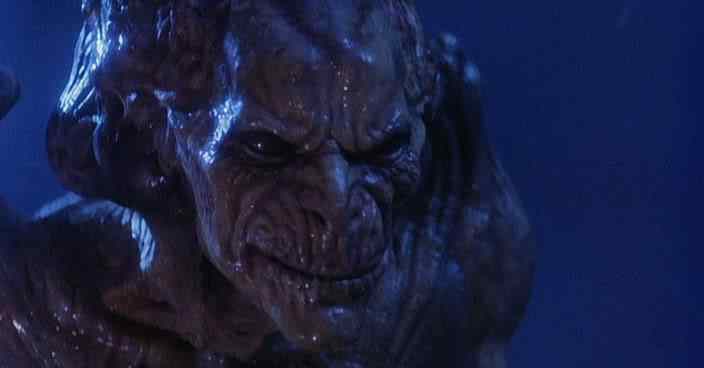 The video era carried us through the end of the ‘80s and into the 1990s, where we had companies like Full Moon, Vidmark and Vestron giving us our monster dose with titles like Waxwork and its sequel, the Subspecies series, Lurking Fear, Pumpkinhead II, Cellar Dweller and many more. Few of them were very good, but all of them at least had interesting monsters and at times an interesting premise as well. But even then, it was fizzling out. The major monster movies of the 1990s were The Relic, Godzilla, Anaconda and Lake Placid. These didn’t all win over fans, very rarely impressed critics and seemed almost out of place in a decade that was, for the first half, defined by Silence of the Lambs and for the second half by Scream. The 2000s saw a return to the cultural fears of the 1970s, allowing for more films to take on the grindhouse tone of that decade—evidenced by pictures like High Tension and Wolf Creek. That time even saw remakes of most of the classic ‘70s horrors, the way ‘50s features were remade in the ‘80s. We got remakes of The Texas Chainsaw Massacre, The Last House on the Left, The Hills Have Eyes and so many more. Like the ‘70s, most supernatural or sci-fi horror came in the form of plagues, namely zombies. Terrorism and biological warfare were the major fears of the time and so they were what dominated the screen. We didn’t get many monsters in the 2000s because, by and large, people seemed to be more focused on real life threats. Now, we’re in a complicated situation. The interest in monsters seems to be coming back. People have a rejuvenated desire to see practical effects. But the money isn’t there to make it happen. Even for something along the budget of Cellar Dweller, there’s no money. Horror is being produced as cheaply as it ever has been. Where a straight to video Hellraiser would have cost a million to make ten years ago, it will probably cost a quarter of that now. Monster movies come in the form of Asylum productions and SyFy Channel original features. And that’s all we get because that’s all anyone can afford. The interest in creatures, culturally, has been waning for a long time. Now that said interest is starting to make a turnaround, monsters are something we simply can’t afford. I don’t know what it’s going to take to get fun, practical creatures back on our screens. I’m not one of those people who’s inclined to believe that just because we don’t have monsters now it means we won’t ever. At least I’d like to think I’m not one of those people. There’s an answer out there somewhere. There’s a way to turn this around. We just need to figure out what it is. We’re getting Godzilla and King Kong on the screen again. We have new Alien and Predator flicks on the way. That can only be seen as a good omen for monsters making a comeback on the studio level. If they do, that could be the answer. Like the ‘50s and the ‘80s before, all it takes is one big hit at the studio level to produce all the indie creatures we can stand. However many that is, I can’t wait to find out.